Home featured News Are You Aware of the Upcoming Trends of 2019 in Global Cloud Industry? Are You Aware of the Upcoming Trends of 2019 in Global Cloud Industry? It is hard to believe that the days when the cloud was considered unstable and risky were not so old. But, the things changed in a mere five years and the cloud became a part of every aspect of our personal and business life. We can put a glance at our lives and easily notice that the dominating things are all cloud-based solutions, as every device is internet-connected. As per a report of IDC, by 2020, almost 70% of the expenses on services, software, and tech will be cloud-based. This statement implies that cloud technology is here to stay and grow forever, and therefore, you should make it a crucial element of your organization. You should not be dealing with SaaS necessarily for that. We should always stay in the know of which things will affect our lives, be it professional or personal. 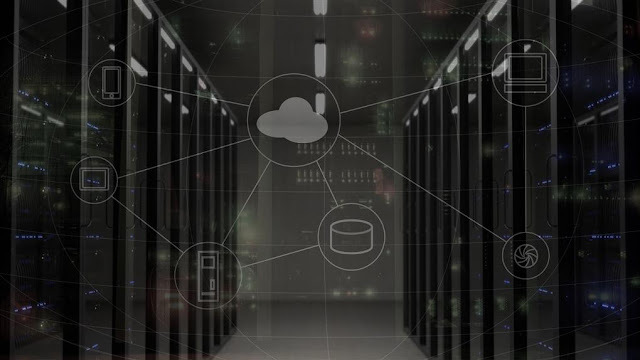 Hence, this blog showcases the upcoming cloud technology trends in the year 2019, which you should be aware of. You can go through the below list and know what the year 2019 is bringing to us. A vast range of cloud technology and service adoption causes diversity in techniques, service delivery, and management models. Earlier, the enterprise cloud solution was neither a legacy ‘cloudwashed’ (just labeled as a cloud-based solution to keep up with the hype) solution nor a hyperscale standardized solution (which could not meet the business requirements properly). So, to solve this dilemma, various solutions came into the market and businesses were able to choose an appropriate solution as per their needs. The solutions were a blend of different services having numerous characteristics of hyperscale and on-demand solutions. Earlier there was a threat in moving to the cloud, and some industries still think that they wouldn’t be secure after migration. Initial stages of cloud technology were very unstable and haywire as this happens with any new technology. Due to this, the businesses were reluctant to give their hard-earned data and money into the hands of someone naive. Now, the times are changing as the cloud solutions and services are absorbing the inputs from the needs of the consumers and improving on that basis. Even if it is obvious that nothing is 100% safe and secure, still the upcoming critical risks are becoming addressable. As the threats are new, so are the solutions to tackle them. Therefore, businesses are now focusing more on the efficiency of the solution so that it fits into their critical business needs. Companies are becoming more mature using cloud-based services and solutions, technical issues, and the issues which mostly no one could address. As Bain & Company claims, by 2020, subscription-based SaaS will be rising by 18% CAGR. As KPMG claims, in 2019, the businesses investing in PaaS will be 56% thereby, making it one of the rapidly-growing sectors. Firstly, businesses can choose from a varied and huge array of services and solutions and customize them according to their business needs. Secondly, the enterprises in the business of providing cloud solutions and services need to be more careful and have to stay ahead than the rivals, as the competition is dense. Almost anything can be given as a service now and this fact makes cloud computing business, a game of thrones. The concept of a full-blown cloud solution for the complete organization may sound easy and fascinating but in reality, a major number of businesses find it more challenging than it was imagined. But now, the hybrid cloud solutions are letting the businesses make migration easy and fast. Further, it reduces the probable security threats and of course costs. More than 75% of enterprises expect that a cloud-based solution can quicken-up the IT-service delivery rate. Cloud-based technology was basically thought of as a mere cost-reducing solution which could let people avoid the expense of creating IT infrastructure on their own premise. They could anytime use the services from the third parties. Cloud computing has come a long way and became a new milestone as it is now a part of every industry. Right now, it is standing on its own as a self-sufficient business model and not as a supporting one. Businesses know that cost-reduction is not the only advantage that cloud provides, but, the flexibility, scalability, speed, and adaption to requirements are the key factors. Rapidly growing investment into the cloud market has compelled a major number of enterprises to rethink on the role of their IT department. This era demands that the otherwise isolated IT department should interact with every other department and collaborate with them. The current model emphasizes the influence of information technology’s work on the functioning of other departments. This means that owners need to hire cloud-centric people for their IT department so they can reposition their staff. The cloud technology is there to solve your problems and it is going to evolve more. You cannot deny the fact that cloud is indeed a vital part of our lives. Its vitality is going to rise in the coming years. Now that, companies are deeply understanding the technology trends in cloud computing, they are able to make correct decisions. They are preparing for future as everyone wants to stay ahead of the competitors. Choosing cloud technology is guaranteed to take your business to the next level. There are solutions and services for your needs. So, choose wisely!